Today’s Flash Back Friday comes from Episode 88, originally published in August 2013. 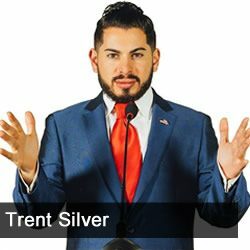 Trent Silver is the Chief Marketing Officer of SilverVisibility, Founder of PhoneDaddy, and Founder of CashForPurses. He’s nicknamed the “Robin Hood of Hollywood” because he helped Lindsay Lohan with her financial problems and Charlie Sheen with his drug addiction. Silver is one of the rare folks who’s gotten rich at an early age in performance and affiliate marketing. Silver explains what businesses he’s built and the genesis for the “Cash for” items such as cell phones, gold, and purses. He also shares how his businesses help the environment.